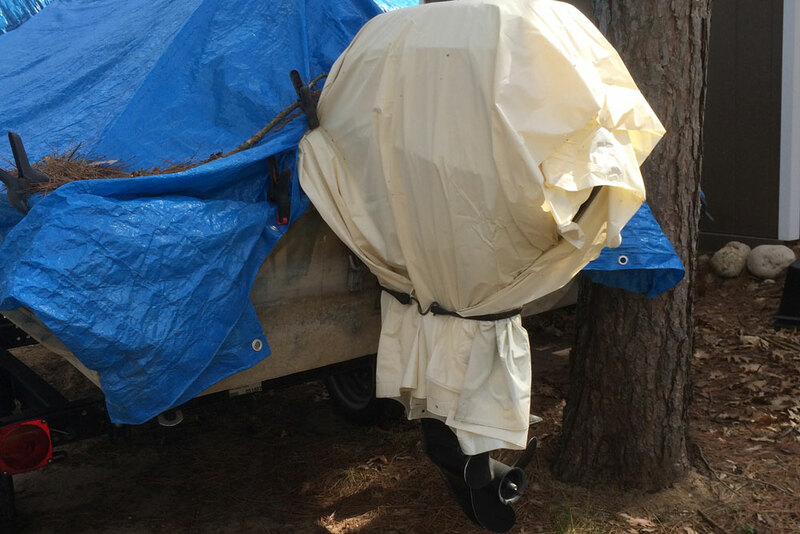 So your outboard engine won't start? We look at a few of the common problems to enable your to identify the issue and even fix it yourself. 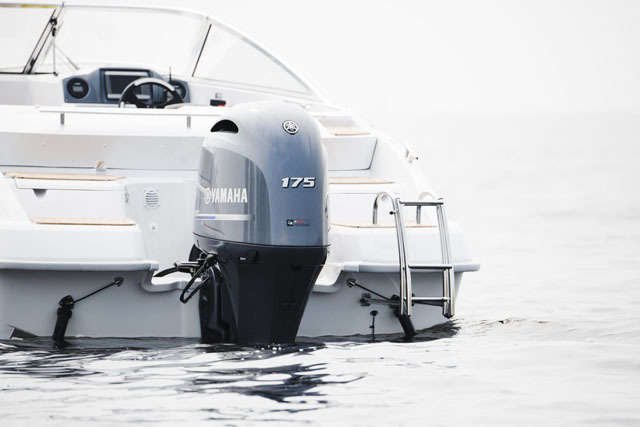 Although relatively complex compared to their forebears, modern outboard motors are more reliable than ever before and a well-looked after engine will give reliable service. The most likely problems are found with the battery or electrical system, resulting in a failure to start. 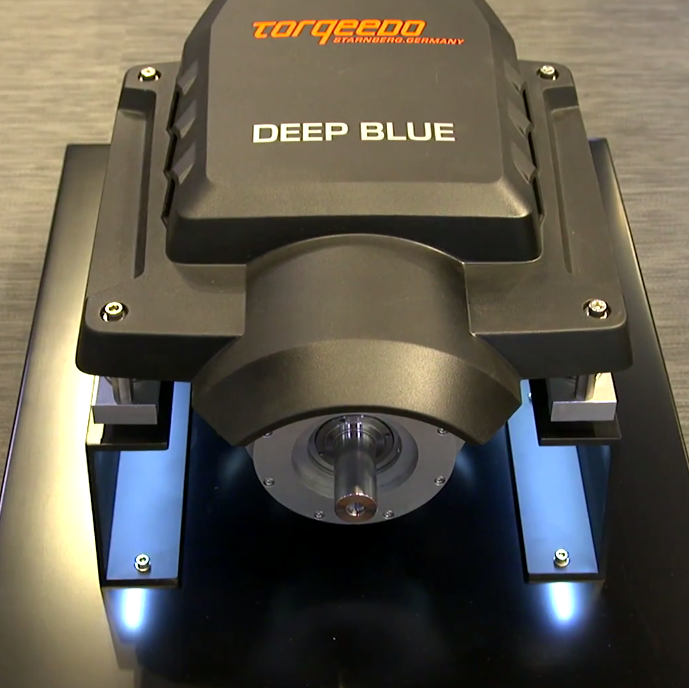 The procedure for pinpointing and rectifying such a problem is essentially the same as that for diesel engines - see Diesel engine repairs: fuel, air, starting, wiring. 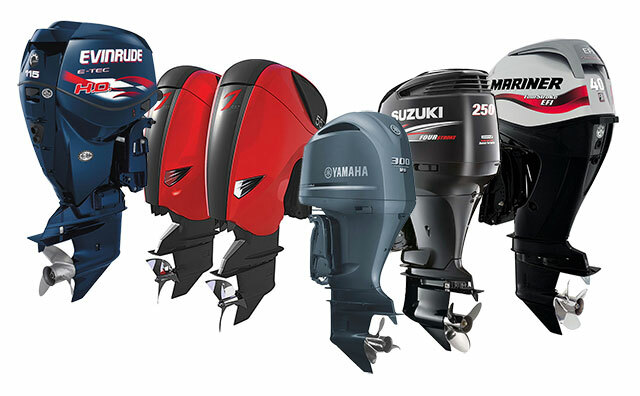 There are also many older outboard engines – some two or three decades old – in regular use. These have the potential to be equally reliable, but lack the sophisticated electronics that produce a strong spark at the optimum moment for combustion, and in the case of two-stroke motors, frequently the oil must be pre-mixed with the fuel in the tank. It's your turn at a busy slipway and it's getting late, which is exactly the moment you don't want to turn the key and find that your outboard engine won't start. So what do you check first? Watch this video by Gary Reich for a few quick ideas to keep in mind for basic trouble-shooting. 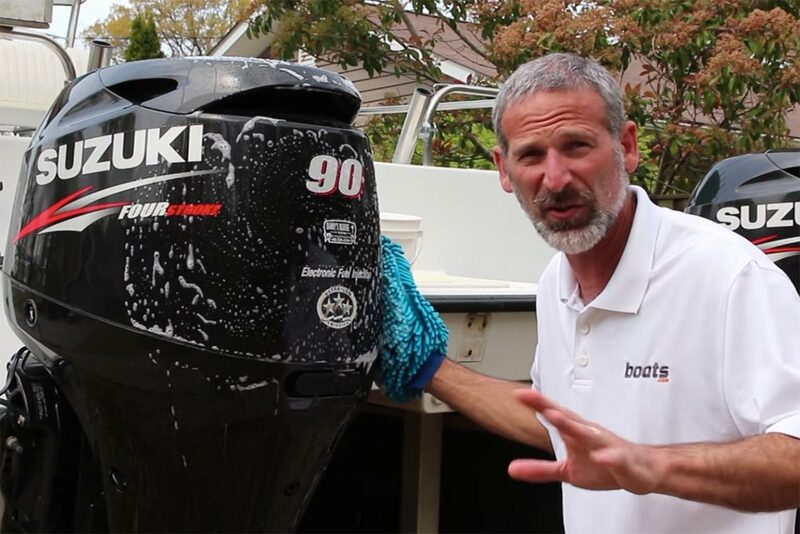 Removing the carburettor from your outboard. More modern engines with sophisticated fuel injection systems, or automatic chokes, tend to start easily. However, smaller and older models may need a little coaxing. In any case it’s always worth consulting the motor’s operating manual – these are often available even for older engines that have been out for production for 30 years. Before starting, check the the throttle is in the ‘start’ position, the fuel is turned on, the vent for the tank is open and with a remote tank give a couple of squeezes of the bulb in the fuel line. The start cord is often longer than most operators realise – make sure you’re standing somewhere where you’re well braced and can give a really long pull. Two-stroke motors are likely to need choke for only maximum of a couple of seconds after the engine fires – as soon as you’ve let go of the starter put your hand on the choke ready to flick it to the running position immediately the engine revs start to dip. 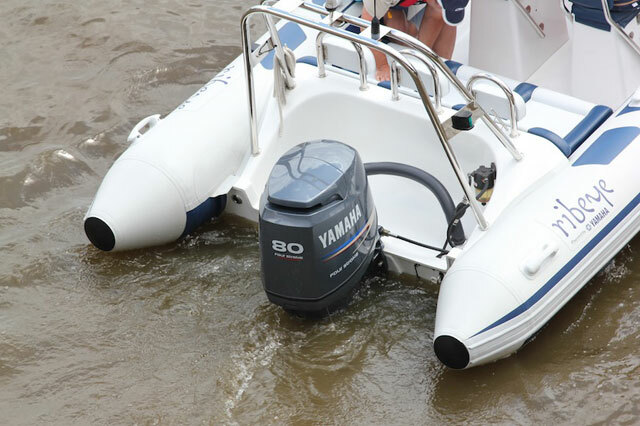 With a relatively small four-stroke motor with a pull start, it can help to turn the engine gently a couple of times before starting and the choke is then likely to need to be used for longer than a two-stroke – maybe at least 10-20 seconds. 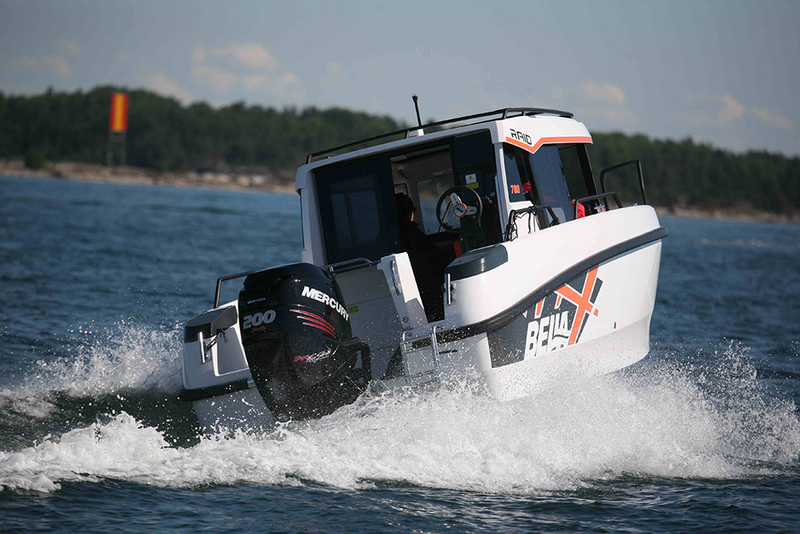 The most likely problems to beset older two-stroke outboard engines are with the fuel system. Modern fuels have a shelf life of only a few months, especially when mixed with two-stroke oil, with the fuel leaving a black varnish or gum on the inside of the carburettor when it evaporates. A build up of this will gradually restrict the size of the carb’s main jet, which means the motor won’t receive all the fuel as it needs. The classic symptom of this problem is a motor that misfires and runs roughly, with loss of power even when warm, but improves when given choke. Even with choke it will not be capable of delivering full power, but it should serve to get you home. There are two simple ways of avoiding trouble. 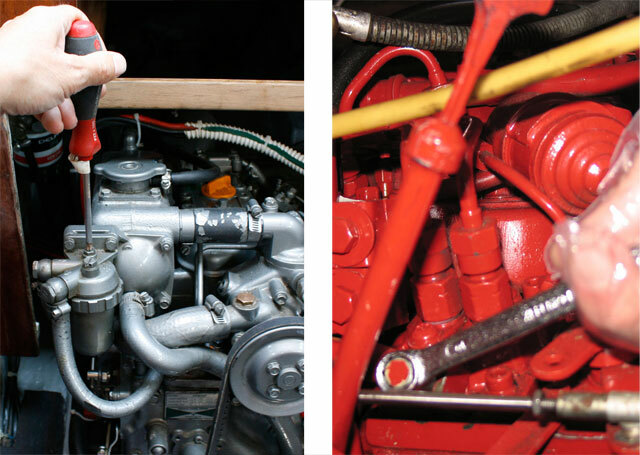 One is to always keep the carburettor wet with fuel – if the boat is used weekly during the season then there will be no problem; similarly if you visit the boat weekly and it has a remote fuel tank, a couple of squeezes of the priming bulb will keep the carb wet, even if the engine is not run. Adding fuel stabiliser will prolong the life of the fuel, and reduce the tendency to produce varnish. The second option is to remove all the fuel from the carb after using the engine, so there’s none left to evaporate. 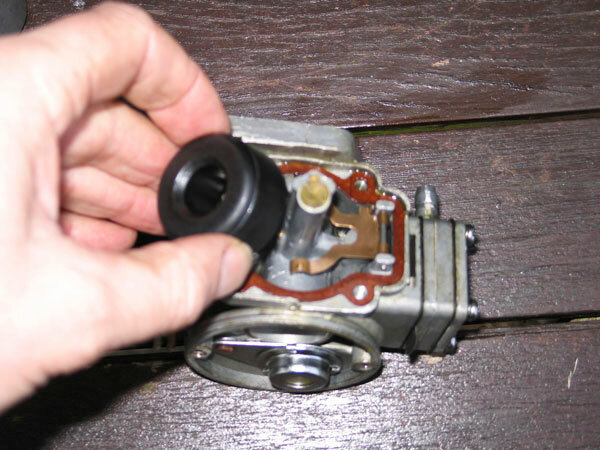 Many carburettors are fitted with a drain plug that can be removed to allow all the fuel to run out. On other engines it’s possible to turn the fuel supply off and allow the motor to die when the fuel in the carburettor bowl runs out – but always check the engine manual first to confirm there’s no risk of the procedure damaging the motor. 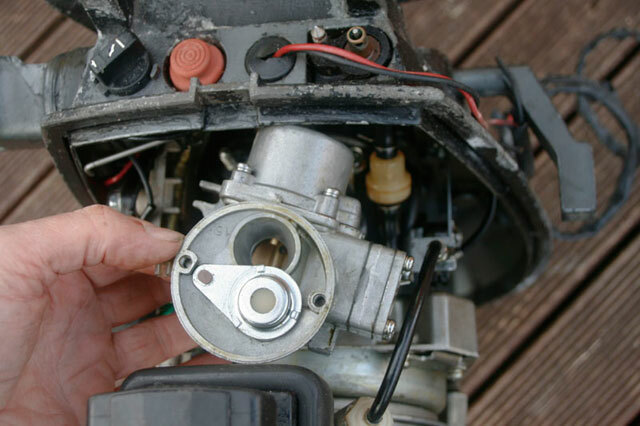 If you do have problems you’ll need to clean the carburettor jets – this is a straightforward task, but in most cases it means removing the unit from the engine. Start by removing the air cowling, then disconnect the choke linkage, throttle cable and fuel pipe. The nuts holding the unit in place can then be unscrewed; if you drop one, make sure you recover it before removing the carburettor. 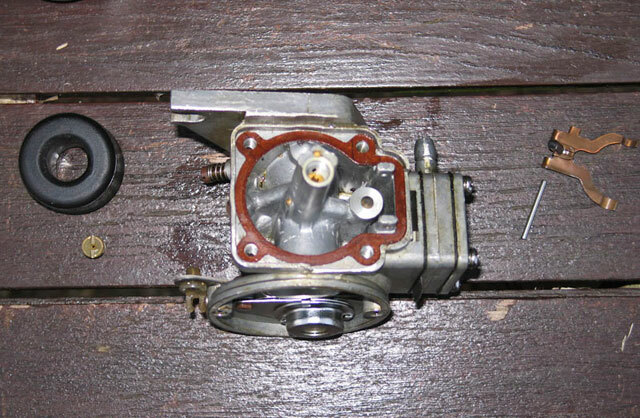 Then turn the carburettor upside down and remove the screws holding the bowl in place. With this removed, the plastic float can be lifted out, along with the hinge pin for the lever above the needle jet. It's now possible to see the condition of both jets – if these are dirty they should be soaked overnight in carb cleaner, then cleaned with a blast of compressed air. The shear pin is designed to break before anything else to prevent serious damage to your engine. 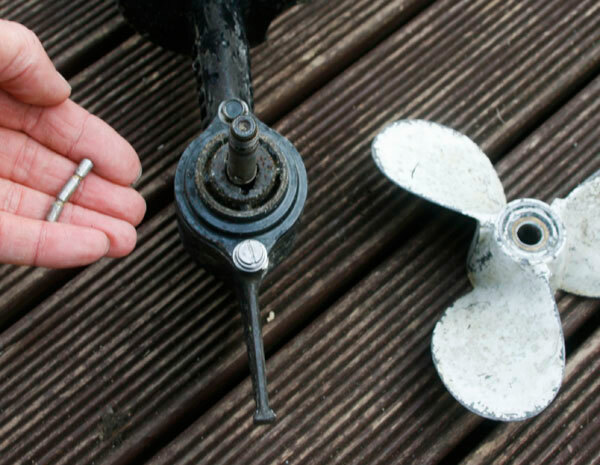 To prevent gearbox damage if the propeller strikes a solid object, the prop of older outboards is driven via a shear pin, a weak link that breaks before anything else in the system. Such engines normally have provision for carrying spares under the engine cowling – it’s worth carrying a few. They can be quickly replaced after removing the prop, but make sure there’s no chance anyone can start the engine while you’re working on it. Newer and larger engines normally have a rubber hub insert in the prop that absorbs small knocks without damage. These are more resilient to absorbing knocks without damage, but if failure does eventually occur there’s no quick fix as with a shear pin. For issues with outboard engine overheating, see Outboard engine cooling system problems.